A new complaints scheme will see major airlines like BA and easyJet impose a £25 charge on customers who fail in their dispute. Passengers could be forced to pay £25 when they complain about airlines losing their luggage or flight cancellations. The Civil Aviation Authority (CAA) used to act as a go-between when a customer and an airline were unable to reach an agreement. 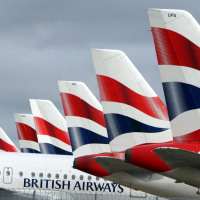 Now services are being cut and any airline passengers will have to go through the Alternative Dispute Resolution (ADR) scheme. Nineteen airlines have so far registered for the scheme. However, one of the service providers, the Centre for Effective Dispute Resolution (CEDR), will impose a £25 charge on the customer if their case is unsuccessful. Airlines easyJet, Thomas Cook, Thomson and British Airways have all signed up to the CEDR service. The CAA can still deal with complaints, but only with airlines who have not joined the scheme. The complaints process deals with issues such as denied boarding, delay, or cancellation. As well as destruction, damage, loss, or delayed transportation of baggage. According to the Independent, The CAA has successfully won £17m in compensation for passengers who have complained about carriers. Passengers flying with other airlines, such as Flybe and Ryanair will be able to avoid the fee as they have both signed up with ADR schemes who do not charge for customers to use the service. easyJet says it chose the ADR scheme because of its competence and suitability while British Airways says it selected CEDR because it is a "professional and impartial adjudicator of claims". However, Labour MP Rob Flello, who is a member of the Commons Transport Committee, told the Sun the plan to charge customers whose complaints are not upheld was "disappointing and outrageous in equal measure". He says that it would cause problems for passengers who wish to complain. He said: "There are certain airlines I have had cause to complain to in the past that haven't even shown the courtesy of an acknowledgement. "Some airlines have no concept of customer service. Anything that puts a further barrier in the way for passengers who have a complaint is unacceptable." Taking out trusted travel insurance can prevent passengers being left out of pocket should the worst happen.